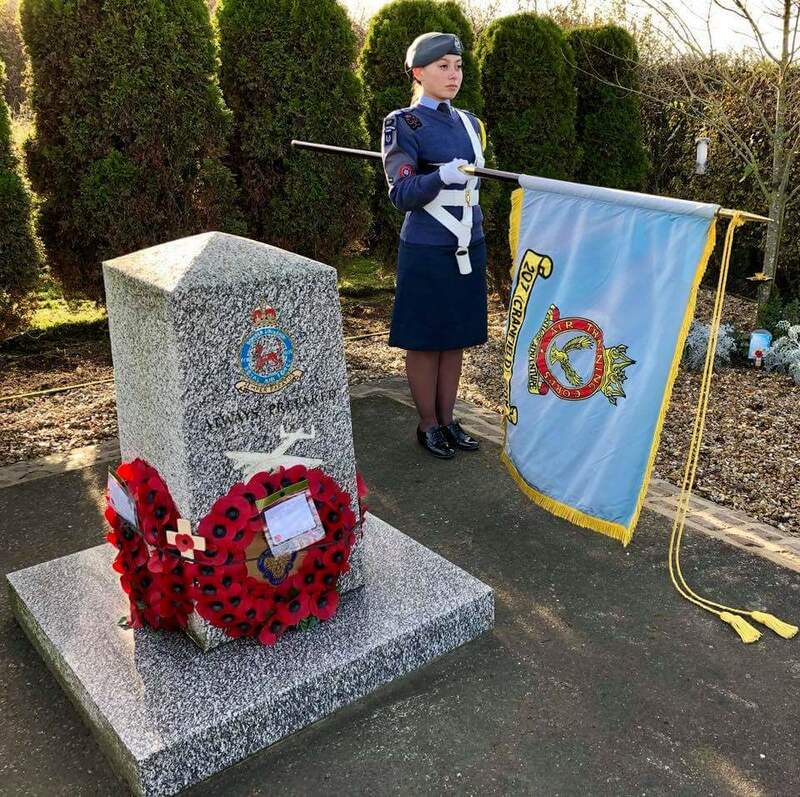 Air Cadets from 207 (Cranfield) Squadron were honoured to be invited to the former World War II airfield, RAF Langar in Nottinghamshire, for the rededication of the memorial to No. 207 Squadron Royal Air Force. The memorial was built in 1994 to commemorate the 154 aircraft and their crews that were lost from 207 Squadron during wartime operations. From RAF Langar alone, 38 Lancaster bombers and 247 Aircrew took off and never returned. Whilst at the memorial service, the Cadets and staff were honoured to meet Air Chief Marshal (Retd) Sir Andrew Pulford who served as Chief of the Air Staff from July 2013 to July 2016. The squadron would like to thank Flight Lieutenant Jade Brock, Officer Commanding 209 (West Bridgford) Squadron, RAF Air Cadets, for putting the Cranfield Cadets in contact with the local Royal British Legion, organisers of the event. !